Our latest exclusive interview is with Osama Rashid, following the midfielder’s recent move to Portuguese outfit C.D. Santa Clara. 1. Your time in Bulgaria was very short-lived. What was your experience like there? For me it was very important to play, because I’d spent two months at home looking for a club. The coach knew about me from my time in Portugal and informed them about me. When I arrived at my new club, I had a very hard time adapting myself to the new style of play and style of life, because I missed the pre-season and also living in a country you don’t speak the language of isn’t the easiest of things. 2. You have been excluded from the national team setup lately — what do you think is the reason for that? I feel like I shouldn’t have gone to play the friendly against Qatar in August. I had spent two months at home training by myself and I wasn’t fit enough to play. There is a huge difference between training individually and training with teammates. It’s incredibly hard to refuse a call up to the national team to represent your country. I answered the call and joined the national team in Qatar. I think I played the worst 45 minutes of my life. Now looking back at my decision, it might have been better for me to stay at home. On the other hand, if I made that decision at the time, I think a lot of people would have blamed me for not wanting to play for my country. All I can do now is hope for the coach to understand my situation at the time and give me a second chance. 3. With only 3 points from 5 games combined with the continued ban on games played in Iraq and a failure to organise a single friendly match in preparation for the second round, do you think the World Cup dream is over for now? It’s definitely not over, but it will be very hard from here on. We need to win all our remaining games. 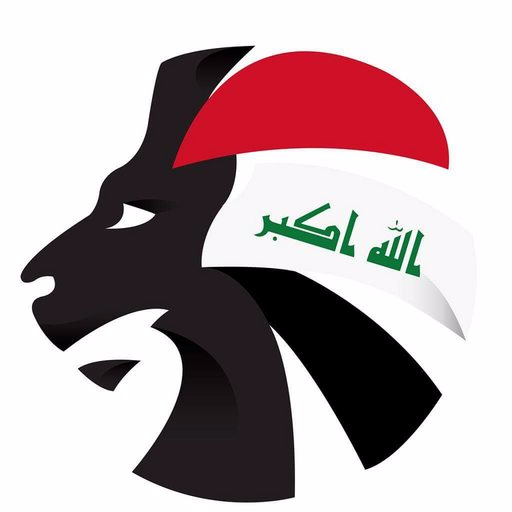 It’s not as easy for us Iraqi footballers to perform, because there are always rumours circulating around the national team. I wish we could just focus on playing our game and not having to worry about side issues. 4.Despite the difficult results Iraq have been facing lately, the Asian Cup in UAE is nearing; what are your hopes for the tournament? I’ve always wanted to play at the Asian Cup as a starter. I will work very hard to achieve this goal and bring back good results to the Iraqi people to make them proud like we did in Australia two years ago. 5. Going back to your club career, you recently joined Santa Clara after leaving Lokomotiv Plovdiv; were the Os Açoreanos always your first choice or did you have somewhere else in mind? I had other options in the Middle East and East Asia where I could have earned a lot of money, but I truly believed Santa Clara offered all that I need in a club. We have a good chance to push for promotion and one of my goals has always been to play in the Primera Liga, the Portuguese top division. The team is very accomplished. I’m confident we can do it. 6. This isn’t your first stint in Portugal. You had a very good time at Farense last season; do you enjoy playing in Portugal? Indeed, I do love Portugal. The people here are very kind and are always ready to help me out. The conditions are great and the nature is beautiful. The style of play here really suits me. Life in Portugal is delightful. 7. How has the first few days with Santa Clara been? The first few training sessions were heavy-duty and intensive, but now alhamdulilah (Praise be to God) my fitness is quickly improving. I’m hoping to make my first minutes soon. 8. It seems to be a very uphill battle to reach Liga NOS being 16 points off the promotion places but there are still many games to play — do you think you can reach it? There is a chance, still. The Portuguese Football Federation has plans to increase the number of clubs in the Liga NOS by one, so that might help us. 9. You previously stated that you had fallen out of love with football at FC Den Bosch. What went wrong there? I had a surgery during my time there and I didn’t feel I could reach my goals if I stayed at the club. 10.You had the chance to become the first Iraqi to play in the Bundesliga when you got a contract offer from Werder Bremen but it never materialised. What was the reason behind that decision? Werder Bremen offered me a three-year contract which I signed, but my former club Feyenoord wanted money off of me. I was very disappointed, because when I went to FC Den Bosch, my former club didn’t say anything about wanting money. When they heard Werder Bremen were looking to sign me, they suddenly asked for money because they knew that Werder Bremen is a top club in Germany. I was very sad to see this move fall apart. 11. The Netherlands is obviously a place close to your heart and is a nation that you represented multiple times at youth level. What do you think of their current form on the international level? I think the current group of players isn’t as good as the previous generation, but there is a talented generation coming up now. I think the Netherlands will learn from their mistakes and get stronger soon. 12. Your former team Feyenoord is currently top of the Eredivisie; do you think they can go all the way and win their first league title in almost 18 years? Yes, I do believe this will be the year! The fans wanted the title for so long now. Feyenoord has an amazing team with great quality players, a good chemistry and they win their games quite easily. I’m still supporting Feyenoord and I watch their games on a weekly basis. Feyenoord is still in my heart, despite everything that has happened. 13. We have asked some of our fans for more general and laid back questions, to get to know what the life of a professional is like. The life of a professional is not as easy as many people think. We need to perform always and every day. If you don’t perform at the training, you’re not going to play. Besides that, there is always pressure, which is not easy to deal with. Professional football players need to be both physically and mentally prepared, particularly when you’re playing in a foreign country and living on your own. You mean during my time at Feyenoord? Good question. I really don’t know. Almost everybody I played with made it into professional football. We had a very talented group. Some players are heavily affected by that and some are not, but I do believe it’s an issue in modern day football. We as players need to learn to live with it. At the beginning of my career, I really cared about what others were saying. The same people who are speaking positively about you as player today will turn on you tomorrow and call you a bad player for the simplest of reasons. I just let it go now. I’ve always believed in myself so why should I care about what others are saying? My diet during the season and during the off-season is pretty much the same. In the morning I’m having oatmeal with soy milk and fruit, and after training and for dinner it’s usually chicken or fish. I’m trying to avoid eating too much rice. We Iraqis are used to eating rice almost everyday, but you should know it makes you fat, which isn’t good for a professional footballer like me. Oh, and the food here in Portugal is amazing. They have the best fish I have ever tasted… actually, masgoof is still the best fish dish! I’m also taking different kinds of supplements the club provided me with like magnesium, zinc, vitamin B and glutamine among others.